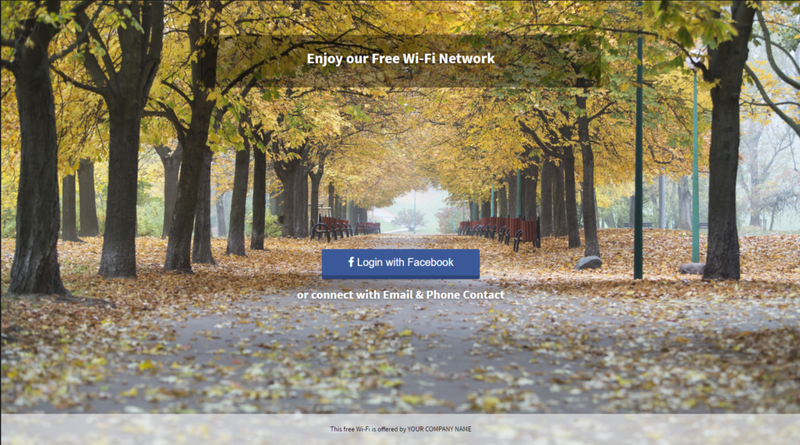 Tanaza features a captive portal, so is called the login page that users see before accessing a public WiFi network. Through this login page, users authenticate themselves using their personal credentials. Thanks to Tanaza, you can personalize the WiFi experience of the users by first, choosing the authentication mode which they will use to access your WiFi network. 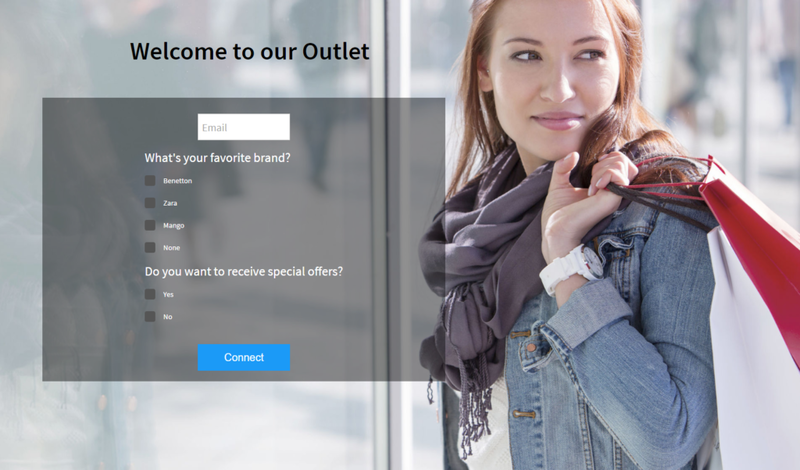 The captive portal will capture the users’ data, allowing you to collect information about your clientele that you can use for your marketing and sales campaigns. Hence, Tanaza gives you the possibility to collect email addresses easily, thanks to the availability of multiple authentication methods. Three login modes are the most used to collect email addresses with Tanaza: personalized form, Facebook login, social login. The first method, personalized form, consists of asking users to fill a form with their data, inculding their email address. Through the form you can customize the data you collect, and create a wide variety of questions about their preferences, hobbies, gender, etc. This login method can be used, for example, when deploying a WLAN within a mall, a hotel or a sports venue. Consider that there is no way to verify the email address, users may insert a fake email address. Being coherent in your questions and create incentives when elaborating a personalized form will encourage your users to insert their real address email. Example: on the screenshot 1, the network administrator creates an incentive by offering special offers in exchange of an email address. The second one is the Facebook login, an authentication method that uses the users’ Facebook accounts. The biggest advantage of Facebook login is that the email is verified, since it is impossible to open a Facebook account with a fake one. Facebook login is the fastest way for your users to access your WiFi network, as in general, most of them access your network through their mobile where their are already authenticated on Facebook. Besides their email address, Facebook login allows you to collect a series of data about users, such as gender, age, location, etc. Furthermore, Tanaza allows you to ask for a Facebook Like or Check-in after authentication. This login method is suitable for any WiFi networks deployed in public locations like open spaces, bars, restaurants, caffé and so on. The third authentication method is Social login, that includes Facebook login but consists also of a series of other social networks. Social login enables users to connect to WiFi using their social media accounts such as Instagram, Twitter, Linkedin, Google+, Windows Live, VKontakte, etc. As with Facebook login, the users’ emails are already verified by the social network itself. Again, if a user is trying to access to your WiFi network with his mobile, then the social login mode might be the fastest and easier option for him. All the data collected is stored on the Tanaza Dashboard and the analytic tools allow you to gather insights about your clientele. Thanks to the data capture, you will be able to run target email campaigns. If you are interested in discovering how to use the collected email addresses for effective marketing campaigns, download our free Ebook about WiFi Marketing. To know more about WiFi for Marketing purposes, visit this page. If you need information about the Tanaza couponing system, download our presentation.